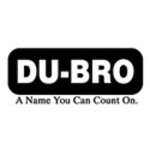 Du Bro Products . DUB MOTOR MOUNT FOR .80 TO .91 4-STROKE ENG. Du Bro Products . DUB Treaded Lite Wheels 3-1/4""
Du Bro Products . DUB BIG WHEELS 4""
Du Bro Products . DUB TREADED LITE WHEELS 3-1/2""
Du Bro Products . DUB Treaded Lite Wheel 5""